FEL-PRO - ES71458. FUEL INJECTOR O-RINGS. 2011-2008 FOT V8 390 (6.4L OHV) Turbo Diesel VIN R (Fuel Injection Set). Subject to the following conditions. FEL-PRO - ES70260. FUEL INJECTOR O-RING SET. " class="next">. " class="prev">. Subject to the following conditions Feature 5 - Validated for fit, form and function. Car Light Truck - Y. Feature 2 - Application-specific design ensures a perfect fit. FEL-PRO - ES70600. FUEL INJECTOR O-RING SET. " class="next">. " class="prev">. Feature 5 - Validated for fit, form and function. Subject to the following conditions Car Light Truck - Y. Feature 2 - Application-specific design ensures a perfect fit. FEL-PRO - ES70713. FUEL INJECTOR O-RING SET. " class="next">. " class="prev">. Subject to the following conditions Feature 5 - Validated for fit, form and function. Car Light Truck - Y. Feature 2 - Application-specific design ensures a perfect fit. FEL-PRO - 73116. Fuel Injector O-Ring Kit. 2011-2003 FOT V8 365 (6.0L OHV) Turbo Diesel VIN P (Fuel Pressure Regulator Housing). Subject to the following conditions. FEL-PRO - ES72099. FUEL INJECTOR O-RING SET. " class="next">. " class="prev">. Subject to the following conditions Feature 5 - Validated for fit, form and function. Car Light Truck - Y. Feature 2 - Application-specific design ensures a perfect fit. FEL-PRO - ES70743. FUEL INJECTOR O-RING SET. " class="next">. " class="prev">. Subject to the following conditions Feature 5 - Validated for fit, form and function. Car Light Truck - Y. Feature 2 - Application-specific design ensures a perfect fit. FEL-PRO - ES71190. FUEL INJECTOR O-RING SET. " class="next">. " class="prev">. Subject to the following conditions Feature 5 - Validated for fit, form and function. Car Light Truck - Y. Featured Parts in Set - Lower set; Injectors to cylinder head included. FEL-PRO - ES73113. FUEL INJECTOR O-RING SET. Subject to the following conditions " class="next">. " class="prev">. FEL-PRO - ES73067. FUEL INJECTOR O-RING SET. Subject to the following conditions " class="next">. " class="prev">. FEL-PRO - ES73035. FUEL INJECTOR O-RING SET. 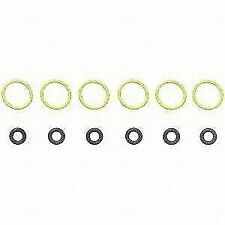 2012-1999 SUB H4 2.5L SOHC (EJ251, EJ252, EJ253) 2457cc (Fuel Injection Seal Set). Subject to the following conditions " class="next">. " class="prev">. FEL-PRO - ES73046. FUEL INJECTOR O-RING SET. Subject to the following conditions " class="next">. " class="prev">. FEL-PRO - ES72004. FUEL INJECTOR O-RING SET. Featured Parts in Set - Upper set; Injectors to fuel rail included. " class="next">. " class="prev">. Subject to the following conditions Feature 5 - Validated for fit, form and function. FEL-PRO - ES70599. FUEL INJECTOR O-RING SET. " class="next">. " class="prev">. Feature 5 - Validated for fit, form and function. Subject to the following conditions Car Light Truck - Y. Feature 2 - Application-specific design ensures a perfect fit. FEL-PRO - ES71192. FUEL INJECTOR O-RING SET. Featured Parts in Set - Upper set; Injectors to fuel rail included. " class="next">. " class="prev">. Subject to the following conditions Feature 5 - Validated for fit, form and function. FEL-PRO - ES71188. FUEL INJECTOR O-RING SET. " class="next">. " class="prev">. Feature 5 - Validated for fit, form and function. Subject to the following conditions Car Light Truck - Y. Feature 2 - Application-specific design ensures a perfect fit. FEL-PRO - ES73059. FUEL INJECTOR O-RING SET. Subject to the following conditions " class="next">. " class="prev">. FEL-PRO - ES72761. FUEL INJECTOR O-RING SET. " class="next">. " class="prev">. Feature 5 - Validated for fit, form and function. Subject to the following conditions Car Light Truck - Y. Feature 2 - Application-specific design ensures a perfect fit. FEL-PRO - ES72970. FUEL INJECTOR O-RING SET. 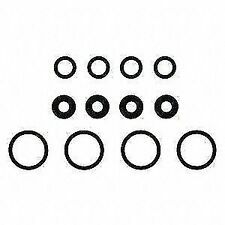 2010-2005 CHEV L4 134 (2.2L DOHC) VIN F, H (Cobalt) (Fuel Injection O-Ring Set). Subject to the following conditions " class="next">. " class="prev">. Part #: ES 70599. The item may have been part of a larger assembly and removed. The box may be dirty or incomplete or just not there at all. This does not make it fake, or a Chinese knockoff, or USED. Part #: ES 70600. The item may have been part of a larger assembly and removed. The box may be dirty or incomplete or just not there at all. This does not make it fake, or a Chinese knockoff, or USED. Shop Pensacola Diesel for all your Diesel needs. Part #: ES72970. Federal-Mogul engineers are continually pushing ahead with new sealing science- developing problem-solving products like PermaDryPlus rigid carrier gaskets. Part #: ES70743. Federal-Mogul engineers are continually pushing ahead with new sealing science- developing problem-solving products like PermaDryPlus rigid carrier gaskets. Part Number: ES 71190. We specialize in repair and service manuals. We carry Haynes, Chilton and Haynes Motor cycle and ATV repair manuals. We are here to help! Part Numbers: 35527, 820792, CM55577, FELES71190, GS33411, GS33529. New Fel-Pro Quality Gaskets. Photo is of actual part. Part Number: ES 73035. Application Summary - 2000 : 2012-1999 SUB H4 2.5L SOHC (EJ251, EJ252, EJ253) 2457cc (Fuel Injection Seal Set). To confirm that this part fits your vehicle, enter your vehicle's Year, Make, Model, Trim and Engine in theCompatibility Table. Condition: This is a "new other" item. Item has not been used or installed. Item is mint and complete. BULK ORDERS. We usually beat our competition! FIND A LOWER PRICE?. Part Number: ES72761. Federal-Mogul engineers are continually pushing ahead with new sealing science- developing problem-solving products like PermaDryPlus rigid carrier gaskets. Liability Limit. Include a copy of your invoice. (PA State Law). 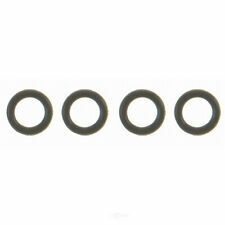 Fel-Pro ES70599 Injector Seal Kit. Condition is New. Shipped with USPS First Class Package. Part #: ES73067. Federal-Mogul engineers are continually pushing ahead with new sealing science- developing problem-solving products like PermaDryPlus rigid carrier gaskets. Part Number: ES 71458. Application Summary - 2000 : 2011-2008 FOT V8 390 (6.4L OHV) Turbo Diesel VIN R (Fuel Injection Set). To confirm that this part fits your vehicle, enter your vehicle's Year, Make, Model, Trim and Engine in theCompatibility Table. New Fel-Pro Quality Gaskets. Custom Orders. 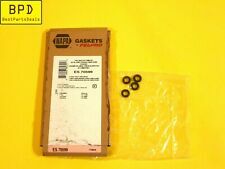 Fel-Pro Gaskets ES 73113 FUEL INJECTOR O-RINGS. Part #: ES70743. Federal-Mogul engineers are continually pushing ahead with new sealing science- developing problem-solving products like PermaDryPlus rigid carrier gaskets. You need to MOUSE OVER the left column to read the complete text.